HARTFORD, Conn. — For a week, Toto Kisaku was held in a darkened Congolese cell, detained for putting on plays critical of the African nation's government. One at a time, his fellow inmates were led away to their deaths. Kisaku feared he would be executed next until he was set free by a guard who recognized him from his performances. A show based on what he endured in Congo, "Requiem for an Electric Chair," is scheduled to open in June at the International Festival of Art and Ideas in New Haven, Connecticut. The one-man play touches on the thoughts that raced through his mind during his imprisonment, with mannequins on stage standing in for the cellmates whose faces he could not make out in the dark. 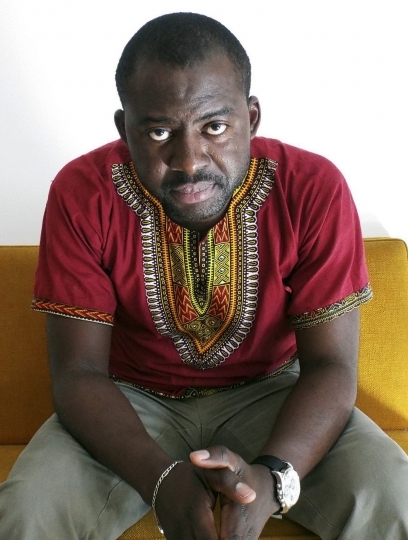 In December 2015, he was putting on an autobiographical play that touched on dysfunction and suffering in Kinshasa, Congo's capital, when students started protesting the government of President Joseph Kabila. Kisaku said he narrowly escaped being arrested by police but was summoned and detained days later. During his seven days in prison, Kisaku said he saw some of his cellmates killed before his eyes. He said a guard told him that he could not follow through on an order to execute him because his play was inspiring. Kisaku said he wants his American audiences to know that immigrants come from his country not only for better economic prospects but also to escape oppression and authoritarianism.